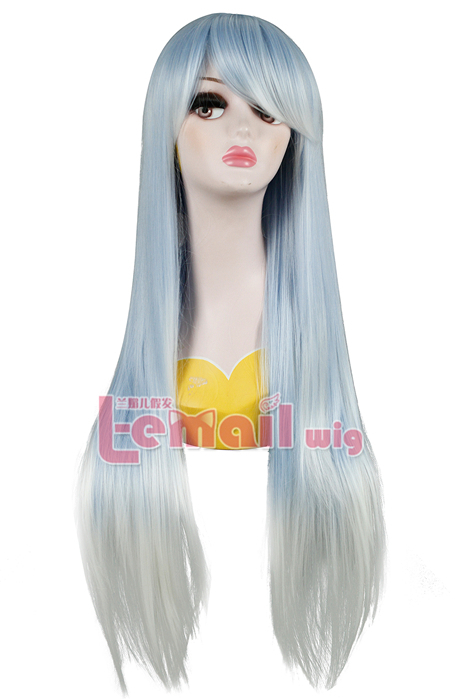 This light blue fade white wig is 80cm long, smooth and super straight. 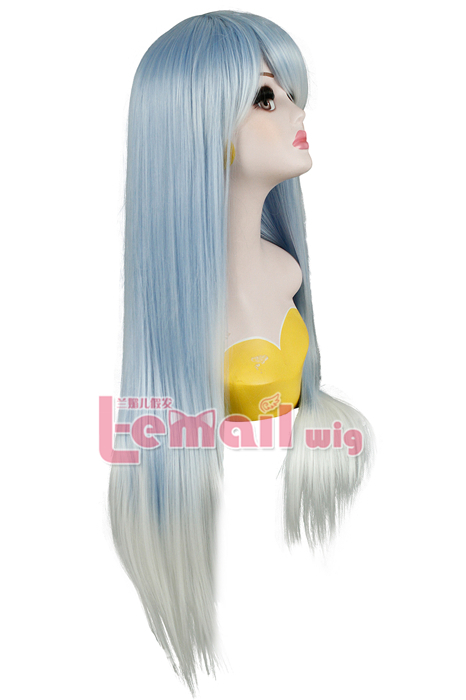 The straight fibers keep it easier to maintain the wig as it does not tangle with mere movement. Because the wig is long and straight, you need to be careful to present it from being tangled. This wig did not tangle very easily while casually wearing it. You would just have to be careful if you would be doing a lot while wearing it, like going to a convention. 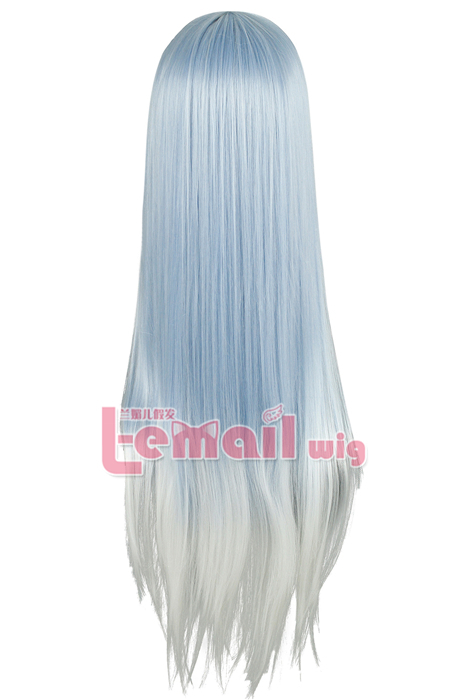 Most of our customers are surprised by its stunning light blue color as they didn’t expect the color would be so pretty! And when you feel its quality, it is just as expected to be soft and silky. You may like brushing the fingers on the hair cause it feels very soft and lovely, way silkier than your own hair obviously. 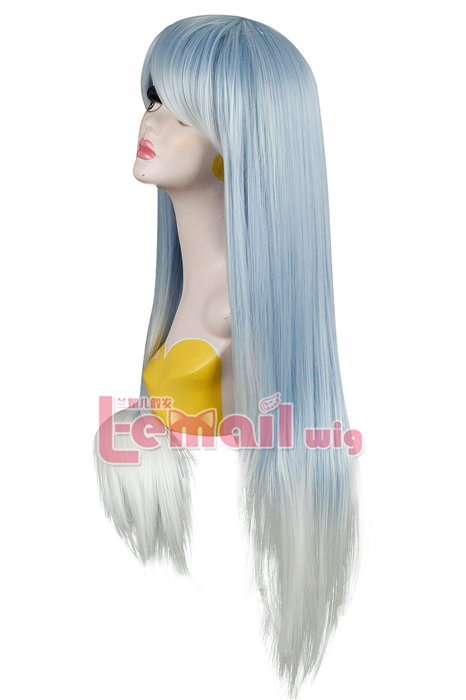 This entry was posted in Buy Cosplay Wigs, Wig Maintenance and Care and tagged 80cm long straight cosplay wig, blue color wig, straight fashion wigs, wig maintenance and care.